This abstract photography highlights the marriage of technology with fine art through fractal art. 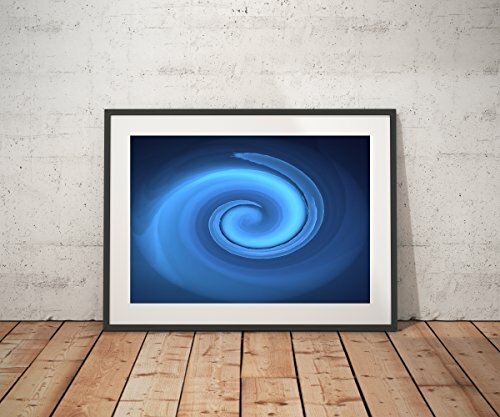 Featuring a striking contrast of impregnable blackness overcast with swooping lines of vibrant blue, light blue, and more blue, this abstract art print evokes a sense of wonder, reflection, and illusion. Size 8" X 10"